Your jewelry is a reflection of your personality and taste. Although Icing On The Ring offers a wide selection of styles to choose from, you might be envisioning a piece unique to your aesthetic preferences. Have a design in mind? Share a drawing or picture with us, and we'll work together to create the ring of your dreams. With over 40 years of expertise, Icing On The Ring is ready to help create your custom piece, without the "custom" price tag. 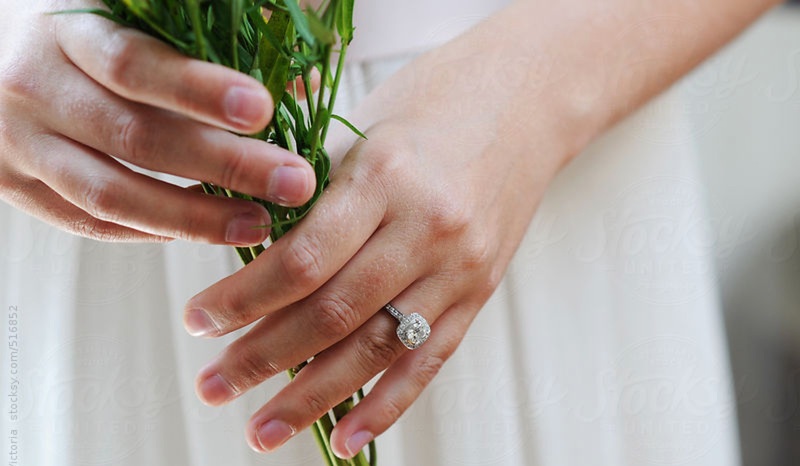 While we encourage you to explore our collections on this website, we believe the best way to choose your wedding ring is through the guidance of our non-commissioned consultants. Online or in-store, the Icing On The Ring jewelry experts and certified gemologists will gladly answer any questions about our products and/or services. Artisans in our on premise production studio will deliver your dream piece, with skill and speed, regardless of whether you want to customize our designs or create an original. 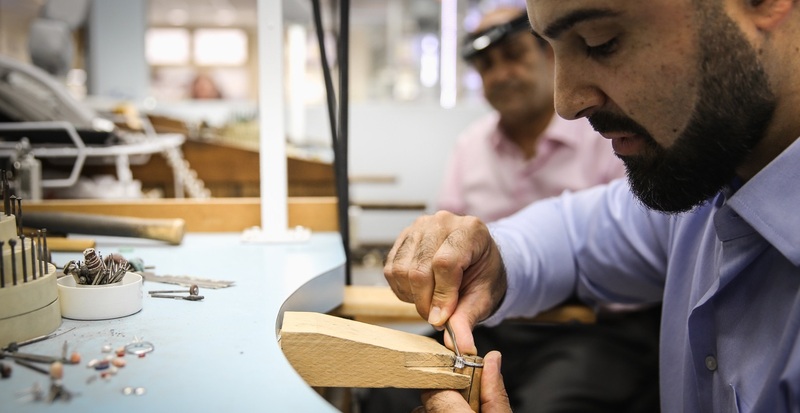 Our team of skilled jewelers and designers will meticulously handcraft your ring to the highest of standards. The majority of Icing On The Ring products featured on our site are made to order and produced within your established timeline. We prefer to tailor each ring personally - to match finger size and incorporate your personal choice of precious metal and center gem proportions. Our on premise production studio provides us with the ability to produce your piece within a two-week time frame. If your special day is coming up fast, we will gladly expedite the production of your order at no extra cost. Icing On The Ring aims to fit into your fiscal plan while offering choice and support along the way. We offer three flexible financing options - deferred interest, or long-term or revolving credit plans. Learn more about Icing On The Ring's financing options. Icing On The Ring offers complimentary appraisals upon request, should you want to insure your jewelry purchase. The appraised value will represent the retail replacement cost of your jewelry, sufficient to cover you should you need to file a loss or damage claim with your insurance company. For jewelry not purchased from Icing On The Ring, we offer appraisal services for $55 per item. Accidents happen. But you can count on Icing On The Ring to repair your jewelry quickly and completely. We repair rings, earrings, pendants, necklaces, and bracelets made of precious metals, such as platinum, palladium, white gold, yellow gold, rose gold, and silver. We also offer restoration services: re-polishing, re-plating, and re-tipping of prongs. 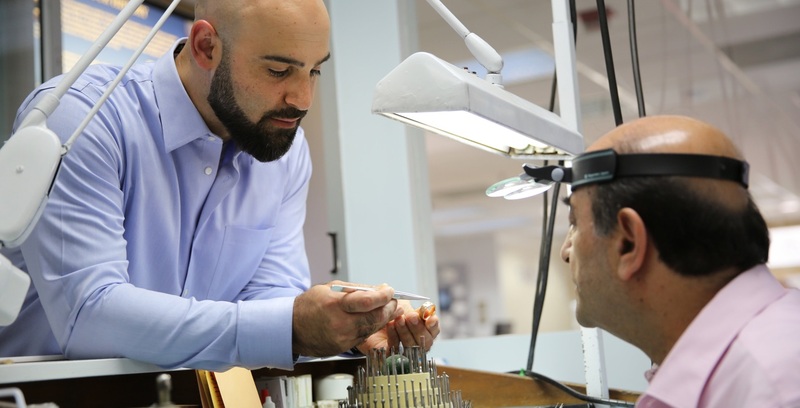 Fees are provided by our team of expert in-house jewelers, and repairs generally require only 1-2 weeks for completion. ***Eternity wedding bands are subject to additional fees. **Engraved rings are not eligible for our ring size adjustment policy and are subject to additional fees, should you need a re-sizing. You've found the perfect ring. Now, you want it protected. 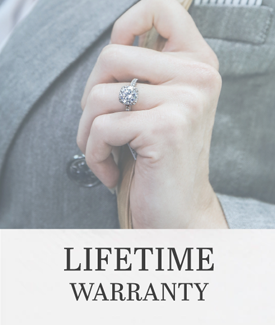 Icing On The Ring suggests insuring your ring through Jewelers Mutual or Gemsafe Insurance.This added protection ensures that your prized possession is covered against loss, theft, and incidental damages. Give your unwanted, outdated jewelry a second life. Hand them over to Icing On The Ring for competitive cash offers or redeem 15% more in-store credit over our cash offer! We'll take everything, from broken pieces to scrap gold and loose diamonds. Of course, all transactions are private and confidential. If you accept our offer for purchase, you can walk out of the store with a check in hand!